There is NO 5 p.m. New Wineskins service this Sunday. Healing for Women After Cancer has been postponed until the spring. We invite parents with young children for a parenting class in the Parish Hall on Sunday, November 13, from 9:30 a.m. to 10:15 a.m. The program will continue for six Sundays. Child care will be provided. Contact Elias Mburu for more information. St. James has celebrated a Harvest Home service every Thanksgiving Eve since the 1890s. All are welcome to join us at 7 p.m. on Nov. 23 for Eucharist, testimonies of thanksgiving, and a blessing of baked goods. We Love to Tell the Nativity Story! 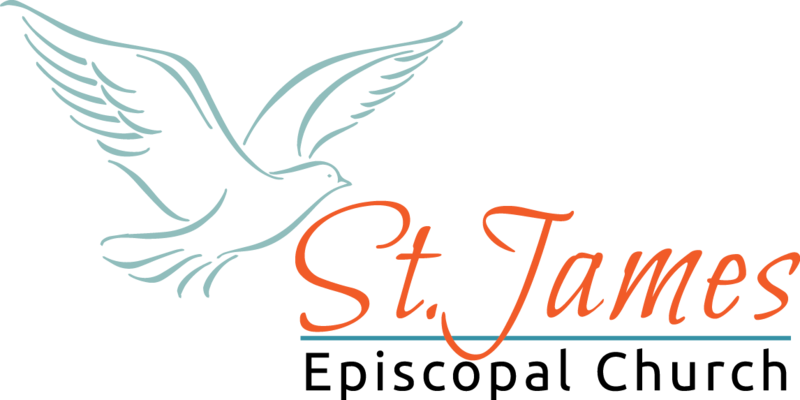 This year, St. James will build on our tradition of presenting a wonderful, multi-generational “pick-up pageant.” Mother Joyce, along with her husband, actor and director Patrick Moore, will add a new script with more opportunities for participation. Everyone, particularly children, families, and youth, is welcome to join us on Sunday, Dec. 4 (noon) for our first of four gatherings to explore the Nativity Story through words and movement. We will meet in the Sanctuary. If you’d like to perform a role in the Christmas Eve 4 p.m. service pageant, you can let us know then; otherwise, just come to play! We also need help with delightful day-of activities, such as assisting little angels and sheep who drop by on Christmas Eve. If you have questions or would like to volunteer, please contact Shannon, Mother Joyce, or Brandon Fisher. Your Outreach, Thrift Shop, and Men’s Shower Ministries are in need of canned food, bottled water, socks, mittens, winter clothing, and financial resources. Your donations and prayers make a huge difference in your Outreach ministries. Need encouragement? Ask myself (Dallas Shannon) or one of our wonderful volunteers to share a personal story of how you’re helping these families. We are $77k away from fulfilling our pledge payments for the year. If you need a record of your 2016 payments, statements are available in a box in the glass Narthex. We’ve also made significant progress toward our “stretch goal”—only $7k is remaining. Please consider adding an additional payment toward this goal! We are over halfway to our pledge commitment goals for 2017—with 58 pledges totaling $250k, we still have $182k left to reach our ministry goals! If another 55 faithful Christians were to pledge an average of $3k annually (that’s around $200 per month—less than a cable bill!) we would have what we need to create astonishing worship, programs and service in 2017. If you have been meaning to complete your form, now is the time; if you haven’t pledged before, this is the year! Many thanks. The altar flowers this week are provided by the Kim wedding.